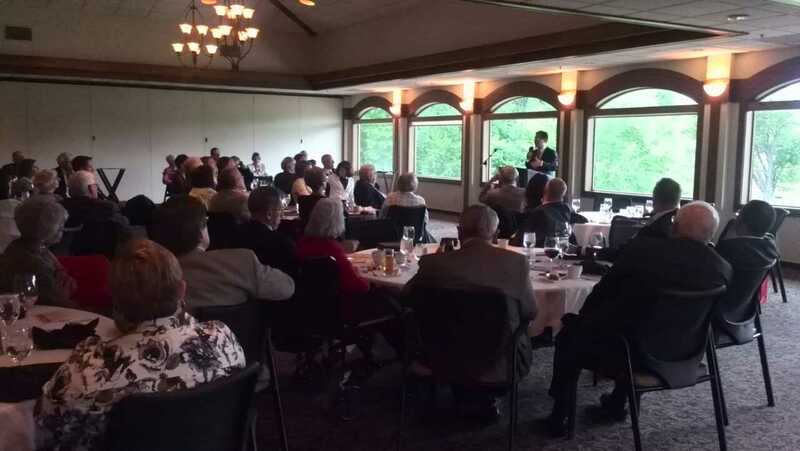 On May 19, Consul General Zhao Weiping delivered a keynote speech titled "China-US Relations: Friendship and Common Interest"at a dinner hosted by 33 Club in Muscatine, Iowa. About 50 representatives from local communities including Tony Joseph, President of Muscatine-China Initiative Committee, attended the event. Consul General Zhao, recalling several touching stories in the history of people's friendship between China and the US, pointed out that an exchange of goodwill between ordinary people will sometimes make big contribution to the bilateral relations between two countries and people-to-people friendship continues to provide strong driving force for China-US relations. Consul General Zhao said that China and the US share extensive common interests. China sincerely wants to build a new type of major-country relationship with the US, featuring "no conflict, no confrontation", "mutual respect" and "win-win cooperation". This September, President Xi Jinping will pay a state visit to the US at the invitation of President Obama, which will open even more promising future for the development of China-US relations. After the speech, Consul General Zhao answered questions from the audience on issues such as China's economic development and China-US investment cooperation.